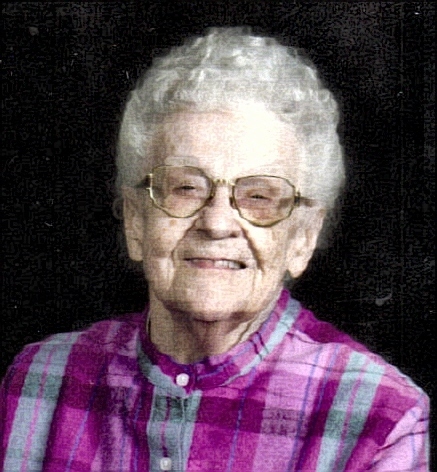 Katherine Mae Hartman, 89, died August 7, 2007 at Sunnycrest Retirement Village in Sioux Falls. Katherine was born on September 29, 1917 in St. Paul, Minnesota. On November 20, 1933, Katherine was united in marriage to Claude Hartman in Canton, South Dakota. They then moved to Sioux Falls. She was a waitress at the Elks Club, Westward Ho, Cataract Hotel and Stockyards CafÃ© for many years. Katherine was a member of First United Methodist in Sioux Falls for 30 years. She adored her grandchildren and cherished the time she spent with them. Katherine is survived by a daughter: Darlene (Mark) Chytka, Rapid City, SD; and sisters-in-law: Dolores Dunlap, Sioux Falls, SD, Marion Hartman, Estherville, IA, and Alice Hartman, Estherville, IA; 8 grandchildren and 11 great-grandchildren. She was preceded in death by her parents, husband, sister: Roberta Hurtgen; brothers: Richard Dunlap and James "Bill" Dunlap and a daughter: Marilyn Schmit. Visitation will be Friday from 4 PM to 8 PM at Barnett-Lewis Funeral Home with family present from 6 PM to 8 PM. Funeral Service will be Saturday, 10:30 AM at First United Methodist Church in Sioux Falls with burial to follow at Woodlawn Cemetery.